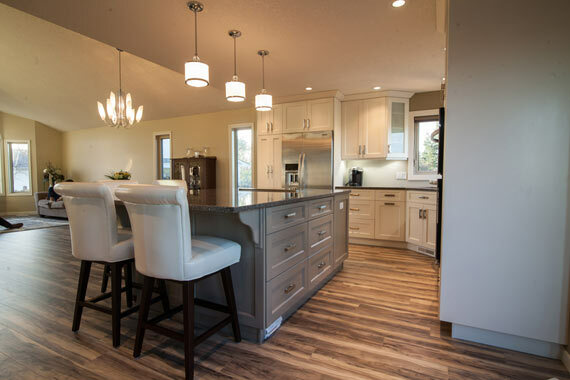 Robart Electrical Services Ltd. Edmonton's Trusted Electrical Company | Robart Electrical Services Ltd.
Are you looking for a reliable and trusted electrical company in Edmonton, Alberta? You’re in the right place. 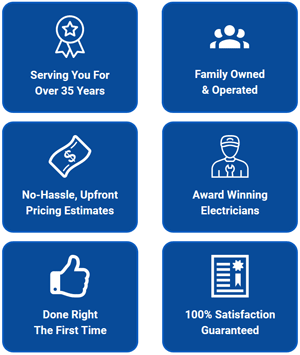 Robart Electrical Services Ltd is a friendly, family-operated business with more than four decades of residential and commercial electrical experience. 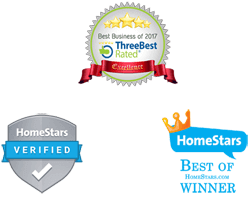 We are a BBB A+ rated electrical contractor that has been awarded Homestars "Best of Edmonton" Award 6 years running. Finding and working with an electrical company in Edmonton that you can trust with your home’s electrical needs shouldn’t be a hassle. No matter what your electrical emergency, we've got a solution for you. Our electricians will get it done on time, and on budget. - Give us a call! "By designing projects based on your needs and budget, and providing the top skilled trades people, we hope to exceed your expectations and stand out from all others." Take a look at some of our recent residential projects in your area! This beautiful kitchen renovation was one of our projects designed and constructed with a local general contractor, and it turned out exquisite. Kitchen lighting is always based on personal taste. 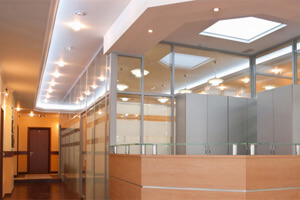 Sometimes ceiling perimeter lighting is enough to satisfy the clients needs. Whatever the design, Robart can provide the professional installation and finishing for any project you have in mind. 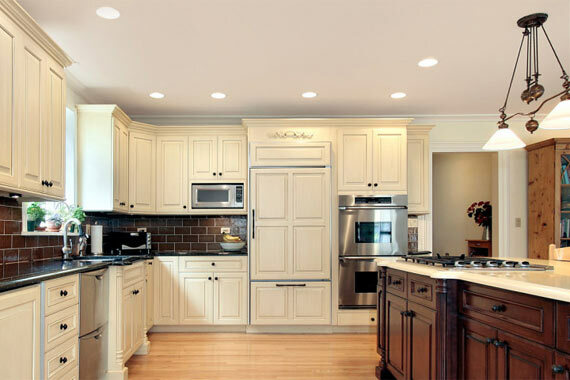 With out design team, Robart Electrical Services provides the ultimate LED experience using dimmers and accent lighting. Take a look at some completed commercial projects we've recently been involved with. Commercial office spaces are becoming works of art. 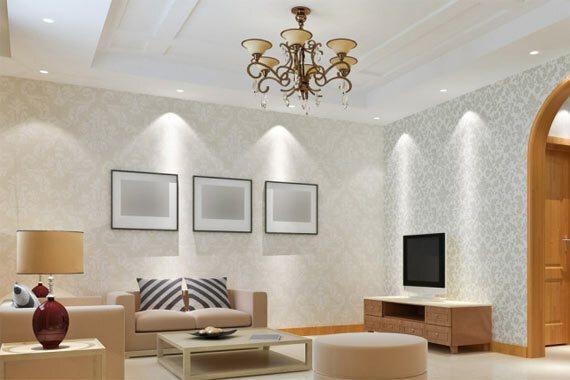 LED Accent and Task Lighting are the norm now days with emphasis given to beauty and functionality. I was completely satisfied, the electrician showed up on time and did a through job. He also gave a complete explanation of what he was doing. Would definitely recommend and call Robart Electrical Services if needed again. Very quick and reliable service, I highly recommend this company. Called to request upgrade from aluminum to copper wiring for outlets and switches, I was quoted a reasonable price. Permit was taken out by this contractor for the electrical work and the job was completed professionally and in a timely manner. To Hear From More Happy Clients Click Here! An Expert Electrical Team Makes The Difference! We don’t blame you for carefully weighing your options when it comes to electrical contractors. In fact, we encourage you to be discerning because improperly addressed electrical issues can be present a real safety issue to your home and family. When you work with our expert team, you can rest easy knowing we pay meticulous attention to detail, ensuring your service is carried out quickly and accurately. We know dealing with an unexpected electrical issue can be extremely stressful. Put your mind at ease now and get fast, quality solutions by a reliable electrical contractor you can trust. Give us a call today at (780) 238-8195 or fill out our online form to request your appointment. Proudly Serving Edmonton And Surrounding..